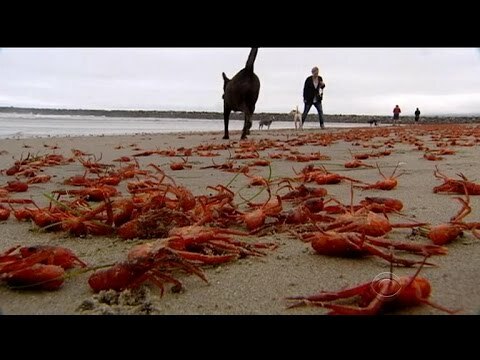 From the depths of the sea, a tidal wave of red crabs has blanketed a California beach. Scientists believe this red crustacean carpet may actually hold key information about changing weather patterns. Ben Tracy reports.